Using CintaNotes, you can quickly capture any text from the web or from any application. No plugins are needed. Simply highlight the text that you need and transfer it to CintaNotes with a single keyboard shortcut. Finding notes in CintaNotes is trivial. 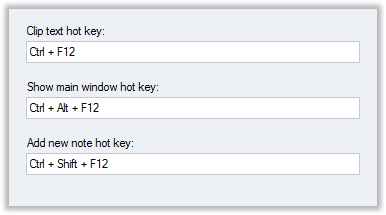 Simply start typing in the main window. 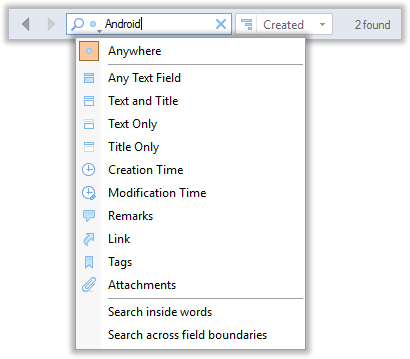 You can also limit the search area to specific note fields, for example the note’s title, text, tags, etc. 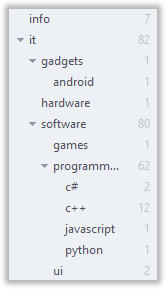 For cases where simple search is not quite enough, CintaNotes also supports more sophisticated search query syntax. To minimize the risk of data loss, CintaNotes creates hourly, daily and weekly backup copies of your notebooks. 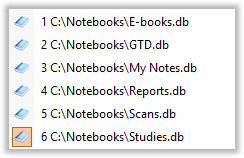 If needed, you can use them to restore the most up-to-date versions of your notebooks. • quickly create and start editing a new note. Notebooks can be divided into sections. 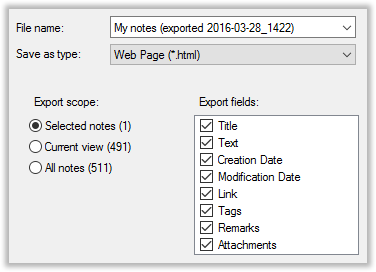 Sections are tabs, which are designed to keep notes on different topics separated. Notebooks are files where CintaNotes stores your notes. This will help you keep different sets of notes separate, for example address books, projects you are working on, book and article excerpts, etc. Notes in CintaNotes are not limited to just text, they can also have files attached to them. Just about anything can be attached: Office files, images, audios, videos and even more. Organizing notes manually can take a lot of time and effort. 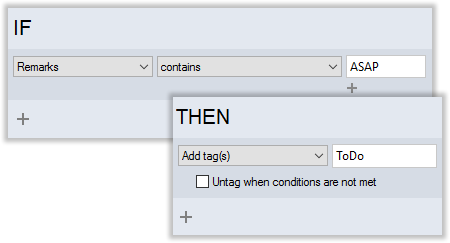 This is why CintaNotes has Rules, which automatically organize your notes by tagging or moving them between sections based on user-defined conditions. If you take a lot of notes every day, the list of your notes might soon become unmanageable. 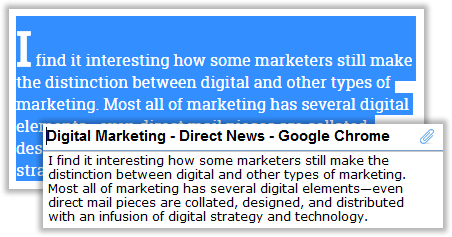 You can solve this problem by using tags – keywords which describe and classify your notes. With the help of tags you can organize your notes into a tree-like structure. Keep your notes neat and organized. 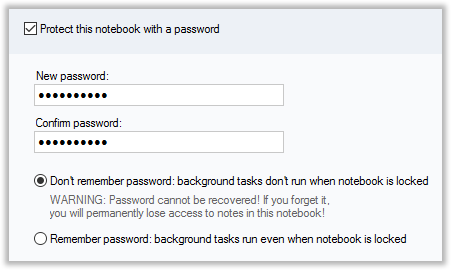 You can password protect any notebook that contains sensitive data. It remains encrypted on disc until you enter the password to open it. 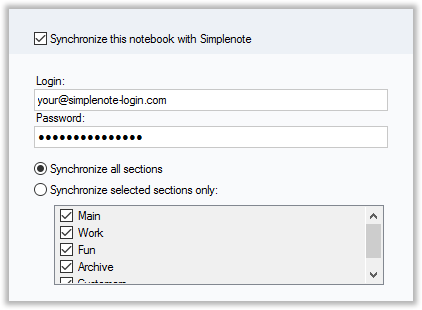 To access your notes on multiple devices, synchronize them with the free Simplenote service. This way you will also make your notes available on Mac, Linux, Android and iOS devices. CintaNotes allows you to embed links to other notes right in the text of your notes. With the help of these custom links you can create personal wiki-like databases. With CintaNotes you should not worry about your notes being trapped in only one format. You can effortlessly export them to HTML. CintaNotes also supports export to XML and TXT. You can use * and ? wildcards to find flexible terms.